Hazel Park New Roof | Hazel Park Roof Tear-Off | Hazel Park Roof Installation | Hazel Park New Roof Estimate | Hazel Park Roofing EstimateMcGlinch & Sons CO.
Are you thinking about updating your home with a new roof? McGlinch & Sons is the preferred exterior contractor specializing in new roof installations and providing detailed and thorough roofing estimates. We have provided innovative roof installation and roof tear-off services since 1917 to the Greater Metro Detroit area. McGlinch offers a lifetime warranty on our shingles and provides our customers with free new roof estimates. If you need a new roof, roof installation or a roof tear-off, our highly trained professionals will get the job done on time and within budget. If you’re looking for an experienced contractor that’s licensed, insured and certified, call McGlinch! We are a premier roofing contractor for roof installation and roof tear-off services in Hazel Park. Hazel Park, Michigan is north of Detroit by about 10 miles. Its population is around 16,400. Hazel Park offers easy access to any Metro Detroit attraction or business. 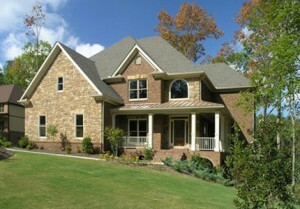 McGlinch is an established and impressive exterior home improvement contractor. Hazel Park residents know that McGlinch is the first call they make when they need a new roof or roof tear-off service. Let the fully insured and certified team at McGlinch become your new roof provider. We have an outstanding reputation and are known to be extremely trustworthy. We are a family owned and operated business with decades of roof installation experience. No job is too small or too big for McGlinch, and we offer custom roofing services for any size roofing project. If you need a new roof estimate or other roofing services contact the elite team of McGlinch and Sons. Call today at (313) 278-2777 because your new roof is just a phone call away!